The 13th December was the final voting for committees for the first 2 years of the Council term. Development Assessment Panel; Rufus Salaman, Rob Sangster and Don Palmer. Audit Committee; Peter Hughes and Michael Hewitson. UNLEY’S footpaths will either take 20 years to pave or a hefty cost of at least $13 million to speed up the work. Elected members will consider moving the backlog forward for completion in two to four years by taking out a loan, after councillor Jennie Boisvert raised the suggestion at last week’s council meeting. “During the election campaign ... I found it was the single most important thing people wanted to talk about,” Cr Boisvert told the meeting. The majority of councillors agreed the maintenance of footpaths was the number one concern for ratepayers in the lead up to the November election. “I get phone calls on this more than anything else,” Cr Rob Sangster said. 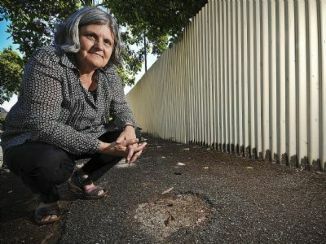 Acting city services manager Debbie Richardson said only half of Unley’s bitumen footpaths would be paved in 10 years under existing budget provisions. “We would be certainly looking at over $13 million (to speed up the process), and would also need a contract manager to take on all 74km of footpaths in that timeframe,” Ms Richardson said. While councillors admitted the cost could be “horrendous”, they said the option of moving the work forward should be considered. “It is very unlikely I would support something that would increase our debt by 150 per cent but let’s see what the report says,” Cr Rufus Salaman said. Unley reported a net surplus of $3.17 million at June 30, 2010. Council staff will investigate and report back to the elected members in February. Would you like to see footpath repairs in Unley fast tracked? Leave your thoughts below.